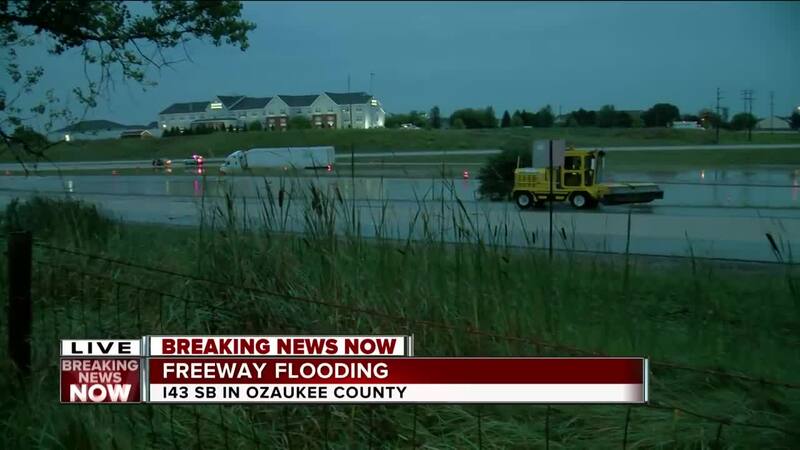 OZAUKEE COUNTY -- Heavy flooding forced law enforcement to shut down I-43 in both directions in Ozaukee County for hours early Monday morning. The interstate was shut down around 4 a.m. -- and reopened around 10 a.m. The flooding left several vehicles stranded in high water on I-43 near Port Washington. Overnight storms dumped more than 7 inches of rain on parts of Ozaukee and Washington counties overnight. The National Weather Service says several communities have street flooding, including West Bend, Jackson, Saukville, Grafton and Port Washington.